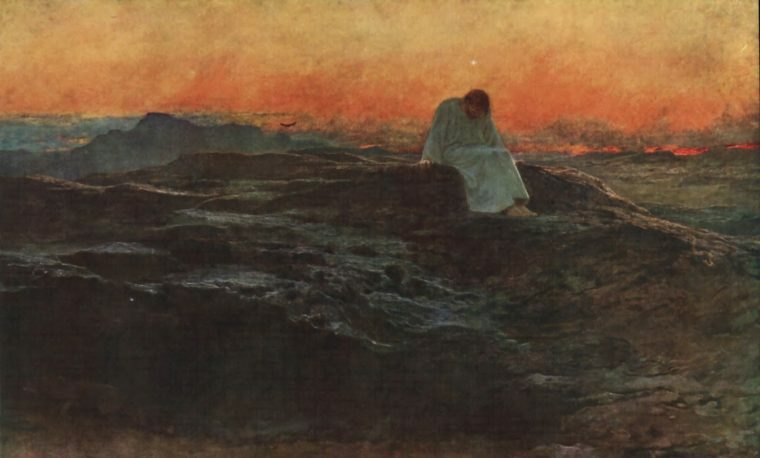 One of the interesting aspects of Jesus ministry is that he made it a habit of practicing solitude. The most mature human to ever live modeled for us the need for retreat. Jesus, God incarnate, showed us that solitude isn’t alone time but rather time alone with God. It isn’t just space from others, it as Henri Nouwen refers to as a portable cell that you bring with you everywhere you go. Jesus taught us how to commune with God through retreat and silence, through prayer and ministry. There are few things we fear more than solitude. Sheri Terkel in her book Alone Together says this powerful statement “If we never teach our kids to be alone we will only train them to be lonely.” In the noisy world, we live in today the practices of solitude and silence are not high on the list of spiritual practices. We love to network, innovate and create (all of which are important and have their place) we fear solitude and we fill silence. Solitude is the furnace of transformation. Without solitude, we remain victims of society and we are continued to be entangled in the illusions of the false self. Jesus came to be our substitute but He also came to reveal his Kingdom to us. He came to show us how to live and how to serve. Jesus began his ministry in solitude facing the three temptations every leader has to face. To Be Relevant. – “To turn stones into bread.” – The first pull you feel as a young leader is the pull of relevance. The right desire to help people that ends in giving them what they want rather than what they need. The pull to find pragmatic solutions that are not based in way of our savior is perhaps one of the most difficult battles you have to face early in ministry. We are not Chik-fil-a we are the church. In business, the bottom line is profit in the church the bottom line is submission to God, obedience rather than self-reliance. In the economy of God, the way up is down and the last is first. Jesus fought the pragmatic good of feeding himself and instead submitted his desires to his Father. In a world that tells you church planting is all about turning stone into bread. Young pastor submit your desire to be loved and to care for yourself to the only one who truly can care for you. To Be Spectacular – “Throw yourself from the roof of the temple.” – To be known is the second temptation a leader faces, I want to be seen, followed and loved. This may even be an altruistic desire in that you want others to see or know or to teach others the dangers of the desire for relevance. How did they do that? Is a question that every leader secretly wishes he is asked. Solitude teaches you that the temptation to be spectacular is only conquered through hidden faithfulness. Christ modeled for us in the desert what Adam failed to do in the garden. Silence teaches us that our words are not the most profound and solitude teaches us to wait for God’s word. To Be Powerful – “I will give you all the kingdoms of the world.” The last and probably most difficult is the temptation to be powerful. I have learned over the years and continue to learn, that if the leader you are following doesn’t walk with a limp they more than likely overestimating what they feel they can accomplish on their own. The longer you walk with God the more you understand that weakness is the strength of the Christian life. Every election cycle my feed gets filled with friends who are Republican and friends who are Democrats both of which think that the more power the church has the more it can accomplish the agenda they feel is most fitting for the church to pursue. Being powerful, being political was never what God’s Kingdom was about. When you practice solitude you are confronted with your own weakness your own finality with your own need for God. You realize that way of the kingdom is in weakness, not strength. You understand that your identity isn’t from your success but in Christ accomplishment on your behalf. Your only job is cling to Christ. That is the essence of faith. Cling to Christ alone. Jesus’ answer to this temptation was to ground his identity in God. That is God’s word for you and me. Ground your identity in God. So true Sam – Could not have said it better myself. This is fantastic and so challenging. I had to look at myself and evaluate all three. This article helps me commit to hearing first then doing so I can 100% please my Father and not man/kid. The relevance /spectacular/power are happening spiritually when I listen/obey. But the less I try my way the more He does all 3 through me Hus way. Thanks Sam!! Thanks, Tim! Hope you are doing well.